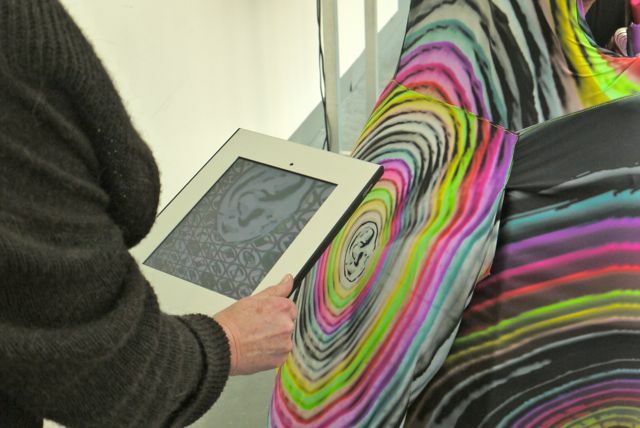 Collaborative work with Sabine Staartjes, Unit040, Johan van den Acker Textielfabriek, Studio Toer – Smart Phocus was experienceable in MOTI (Museum of Image in Breda, The Netherlands). 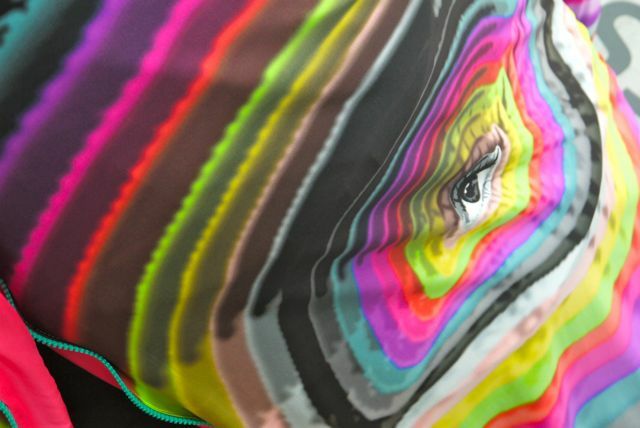 The piece was at the exhibition Te[ch]x(t)iles for 26 March – 29 April 2013. Smart Phocus is putting the technology developed within the Bedtime Stories project into another context. It’s a way to get the augmented reality onto the body and wearable. 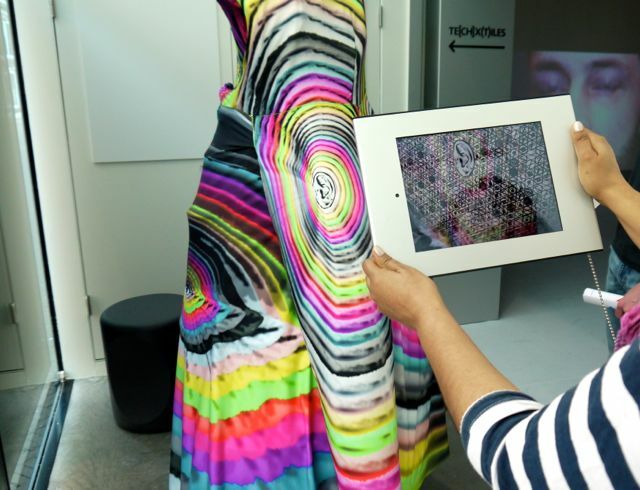 The objects (eyes, ears, lips) on the garment are recognized by the camera in the tablet computer and augmented layer of “noise” and information is displayed there. It expresses concern about the amount of technical noise around us and stresses the importance of focussing on each other.